HMS Health LLC needed a site that brought it diverse businesses together. 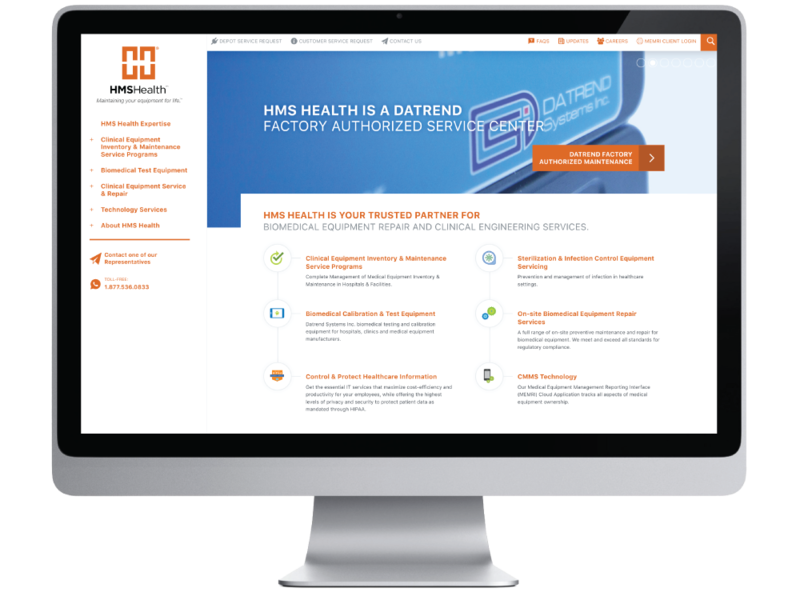 From providing biomedical equipment maintenance and repair to selling biomedical calibration equipment – HMS needed a way to present the information simply and easily to website visitors. Working with HMS Health, Honeycomb Creative was able to reorganize the service offerings so that items were easier to find, provided comparison pages and made contacting HMS Health representatives quick and easy.